Believe it or not, I’ve never really wanted Chris Brown to feel any real “eye for an eye” Old Testament justice. Even though he nearly killed Rihanna and he has significant issues with aggression, violence and a hair-trigger temper (not to mention a raging martyr complex), I really just wanted him to go to jail. I wanted him to lose his career and his fans. I wanted him to be punished by the legal system and by the court of public opinion, as opposed to facing some kind of physical harm. That being said, I’m finding it kind of difficult to work up much compassion for Chris regarding some recent health issues. 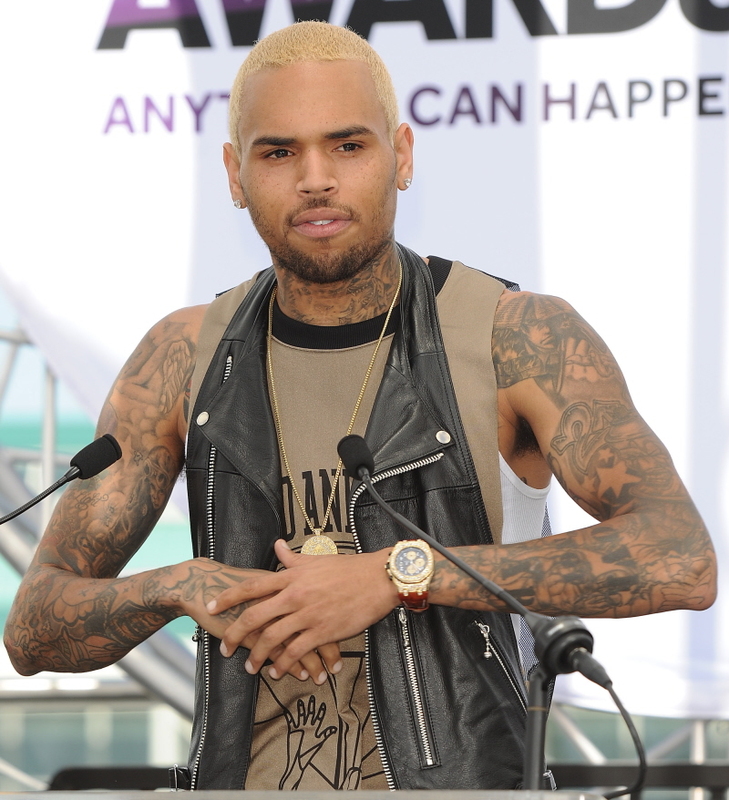 On Friday, Chris had a non-epileptic seizure while he was at a recording studio in Hollywood. I might have been mildly sympathetic, but Chris’s dumb publicist ruined it by issuing one of the most God-awful statements ever. 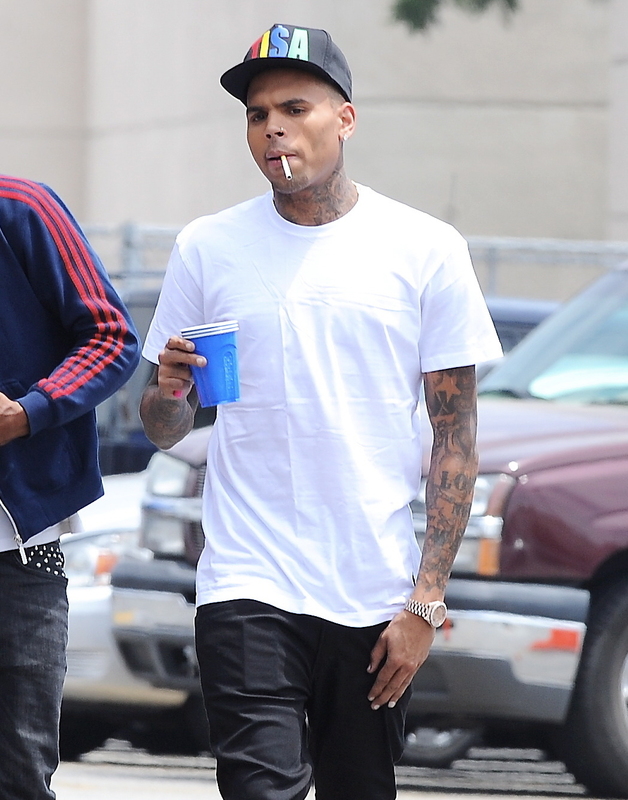 Chris Brown is on the mend. After reports surfaced that the 24-year-old singer suffered a seizure on August 9 while at a Hollywood recording studio, his repconfirmed the health scare to Us Weekly. Indeed, the “Home” crooner seemed to not be in the best spirits this week. On Tuesday, Aug. 6, a day after he spent 45 minutes in jail for a hit and run, he tweeted to his followers that he’s may be ending his musical career. Brown was presumably alluding to his 2009 assault of his ex-girlfriend Rihanna. The singer, who’s currently linked to model Karrueche Tran, did get some support earlier this week from fellow R&B artist Jason Derulo. “The Other Side” singer, appearing on Watch What Happens Live with Andy Cohen on Aug. 7, was asked about Brown’s tweet, which hinted that his end in music was near. Brown’s upcoming album, X, releases Aug. 26. Every single one of you who called Chris out for being a whiny, sucky baby on last week’s post… all of you are to blame! Every time we call Chris a sucky baby, an angel loses his wings and Chris has a seizure! You’ll notice that the statement did not come from Chris’s doctors – this was not, like, an official medical statement in which some white-lab-coat-clad doctor stepped in front of the microphones and said, “The cause of the seizure has been attributed to anti-Breezy h8rs.” Back here in reality, I bet “stress” was one of the contributing factors. The smoking and the drinking probably didn’t help either – he could have simply been dehydrated. Or it could have been drugs too, which is why he didn’t want to go to the hospital. Just sayin’.